Last night we were honoured to attend Led Zeppelin's playback event at the Masonic Temple in Toronto, Cananda. Guests were treated to a selection of unreleased mixes and outtakes drawn from the recording sessions that produced Presence, In Through The Out Door and Coda. 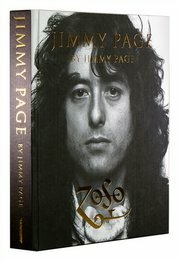 The 40-minute selection was specially curated by Jimmy Page, who introduced his compilation of ‘all things bright and beautiful’. A Q&A followed, in which Jimmy spoke with Q107 radio host, Jeff Woods, and explained the significance behind the tracks he had chosen. 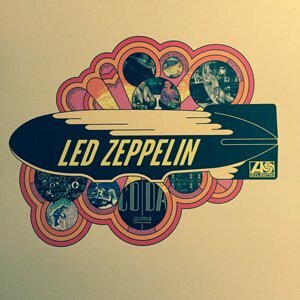 These included a version of ‘Friends’ that Robert Plant and Jimmy Page recorded in Bombay with an Indian orchestra in 1972, and a 1970 studio version of 'If It Keeps On Raining' – that was later to become ‘When The Levee Breaks’, recorded using the Rolling Stones' mobile studio at Headley Grange. These tracks and many more will be found on the companion audio discs that accompany the remastered versions of all three albums. Presence, In Through The Out Door and Coda will be released on 31st July 2015. For more information visit led zeppelin.com and for unique insight into their creation, take a look at JIMMY PAGE by Jimmy Page.